So I wasn't planning to post today. But last night I watched the announcement for the 13th Doctor of Doctor Who and what I saw literally left me speechless and at the same time desperate to celebrate with someone. We have a female Doctor. She is the Doctor. I literally couldn't contain myself when I watched the video and saw who it was. I was making supper at the time but I almost burnt it because my emotions were in such a state and I just wanted to scream and dance and sing and cry. I started retweeting, gasping, smiling madly, spamming my followers' feeds with #DoctorWho13 related tweets....I was ecstatic and I wanted to cry with joy. Then it got better. As the realisation struck that it was a she who'd be heading up the Tardis, I recognised the actress. Jodie Whittaker is to be the first female Doctor, and THAT was almost impossible to handle. I was buzzing around the house on an hysterical high. “It feels completely overwhelming, as a feminist, as a woman, as an actor, as a human, as someone who wants to continually push themselves and challenge themselves, and not be boxed in by what you’re told you can and can’t be. It feels incredible." It's happened. We have a female Doctor. This is huge. I stopped watching Doctor Who halfway through Eleven's run because we didn't have Netflix and I couldn't get hold of the dvds. Ten was always my favourite (David Tennant <3) but now I hope I'll get the chance to watch the series again and see Whittaker in the role. 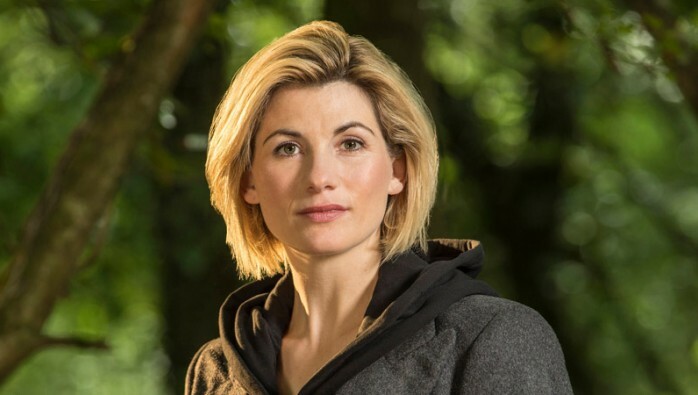 Not only is the fact that there's a female Doctor INCREDIBLY OVERWHELMING AND EMOTIONAL AND POWERFUL (at least for me) but she's an amazing actress. I loved her in Cranford, I loved her in Broadchurch, and I cannot wait to see her knock the heck out of this role and become an inspiration for women and girls everywhere. She's already inspiring me. I am so, so proud of Doctor Who for taking this step. And from the bottom of my heart, I hope that there will be more of this kind of progression in the future: let everyone be allowed to see themselves in the Tardis, to see themselves as a Doctor, if they want to be. I hope Whittaker's casting is the start of something big and something better. Imagine finding the idea of a female #DoctorWho13 ridiculous but being fine with time travel, cybermen and daleks. Imagine. You can be excited for a female Doctor and happy for Jodie while still being critical that ANOTHER white actor was cast. WE HAVE A FEMALE DOCTOR. What do you think of the news? Are you as excited as me?! Don't you think Whittaker is perfect?! I haven't watched more than the first six seasons of Doctor Who, but this is amazing news! I was so excited when I saw this, too! I can't wait to see how the show evolves! Honestly I've never heard of her so can't really say much! Haha it's fine! Thanks for the comment! You go BBC!!!! This is so exciting! I also stopped watching after the 10th Dr but now that the Dr is a woman, I can't wait to watch this season!! Such incredible news! I KNOW RIGHT?! Yeah it should be amazing!! I too was so excited for this news! I'm a huge dr who fan (and david tennet is my favorite doctor, hello, there isn't even any competition) and I'm excited to see where this new season goes.